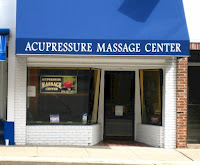 Acupressure Massage Center of Morristown: Welcome to Acupressure Massage Center of Morristown NJ! Welcome to Acupressure Massage Center of Morristown NJ! Specializing in Swedish, Deep Tissue, Integrated Massage Therapy, Reflexology, Sports massage, Manual Lymph Drainage and Raindrop Technique. Achieve relaxation, pain relief and athletic performance. Located in historic Morristown, NJ. Let us help you achieve RELAXATION, PAIN RELIEF, ATHLETIC PERFORMANCE!! CONTACT US NOW! Give us a call at (973) 267-0079 or email us at amc4health.appointments@gmail.com and schedule a well needed massage! We are located at 15 Washington Street, Morristown, NJ 07960. We look forward to hearing from you! The use of Young Living Essential Oils is a vital part of our massage and bodywork practices due to their extraordinary health benefits. We welcome you to learn more about these gifts from nature. If you are looking for a more natural path to health and wellness, Young Living essential oils and our dedicated community are here to support you completely on that journey.